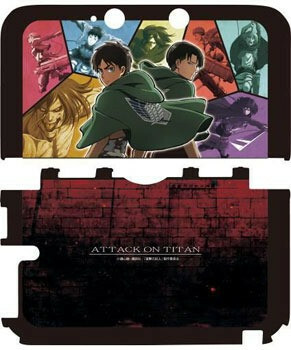 If you are an anime fan who loves anime we would be glad to have you here so please register or login to join us. WE HOPE YOU ENJOY THIS WEBSITE!!! For all you anime fans here I have created a site for you were you can talk about anime but don't worry you can also talk about manga too. Please Enjoy Warning this forum may contain SPOILERS!!! 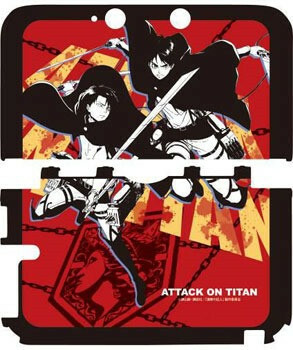 Looking for a stylish case to protect your Nintendo 3DS AND rep Attack on Titan you might want to look for upcoming cases. 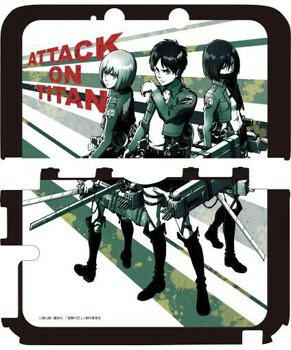 A trio of Attack on Titan 3DS cases will hit Japan this June and will cost ¥1,814 around $18 each. 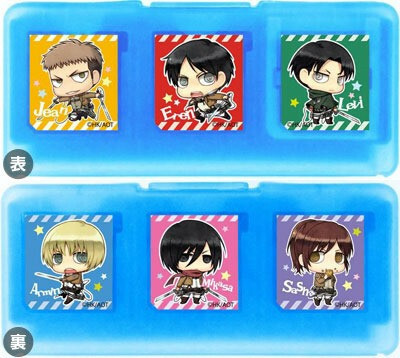 The three options below and the matching card case, are all set for June and will be priced at ¥864 around $8.47. Everything we do has a purpose whether good or bad. Everything you do is for a motive a simple desire to get something that you want admit it where all selfish beings. I have lived in this cursed world never knowing if i am part of a writers story just going on with life as it is. We are unpredictable creatures never wanting to change our ideals unless put through a situation that changes us. I have seen the hatred of man's kind in many different ways never knowing what the future holds, many situations changing my life sadness happiness victory a lot of things may be changed by a writer who may or may not exist changing whatever he wants as he pleased and anime has opened my eyes to show me all of it. Humans are not meant to play God for they eventually abused the power they have like any of us would for we are despicable. » Why we should "attack" Syria ! if you could join a guild, what would it be?